“A production of considerable beauty. . . . [Director] Smith sustains a gripping harmony of majesty and sardonic wit.” — LA Weekly Recommended! “Compelling [and] entertaining” — LA Times Recommended! 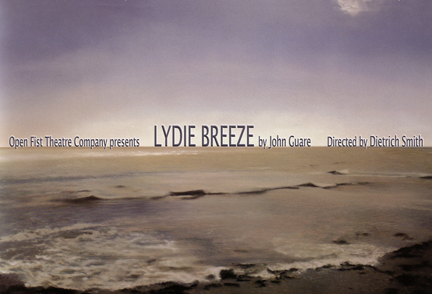 “Lydie Breeze,” the Open Fist Theatre, 1625 N. La Brea Ave., Hollywood. 8 p.m. Fridays through Saturdays, 7 p.m. Sundays. Ends Dec. 4. $18, Sundays pay what you can. (323) 882-6912. Running time: 2 hours, 20 minutes. A previously anonymous man escapes from prison, kills his parents and embarks on a murderous quest through a labyrinthine metropolis. Who is Roberto Zucco, and why does he kill? While a dysfunctional community tries to ward off the trail of darkness as some demonic external force, the murderer himself, Roberto Zucco, appears to be the least callous, and most honest of them all. Based on the true story of a young Italian man, Roberto Succo, who went on a crime spree while on limited release from a psychiatric hospital. Idealism runs amok in Dostoevsky’s feverish black comedy about terrorism, boisterously adapted for the stage by Elizabeth Egloff. THE DEVILS charts the disastrous attempts of a group of incompetent, small-town conspirators to foment revolution in 1870’s Russia. As a rivalry heats up between the charismatic yet disturbed founder and his opportunistic disciple, the group plunges into a world of subterfuge and paranoia, culminating in murder — a story that seems as vital today as it was when first written 130 years ago. 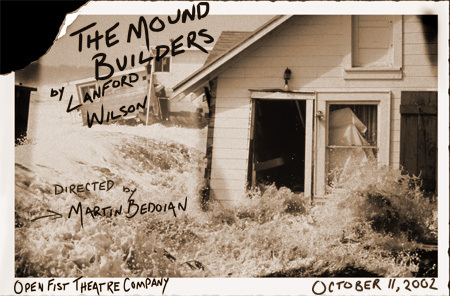 Open Fist Theatre Company presents the Los Angeles premiere of Maria Irene Fornes’ ABINGDON SQUARE. In turn-of-the-century New York, a grief-stricken girl of 15, recently bereft of her parents, finds comfort and relief in marriage to a man old enough to be her father. As this child becomes a woman, and desire for security turns to a desperate need for sexual fulfillment, what once was a comfort becomes a nightmare for both husband and wife. ABINGDON SQUARE shows us a tender yet frightening examination of the marriage bond. “Abingdon Square” presented by the Open Fist Theatre, 1625 N. La Brea, Hollywood. Fri.-Sat. 8 p.m., Sun. 7 p.m. Jan. 9-Feb. 14. (323) 882-6912.